Most people can talk for a long time about how much they need to visit a gym. However, with the flow of time, they find all possible obstacles that prevent them to begin the workouts. At the same time, everyone wants to have a slim and beautiful body. However, the last thing people resort to is a gym. Though, they should know and always remember that only owing to sports and hard workouts it is possible to make one's body fit, healthy and, finally, perfect. 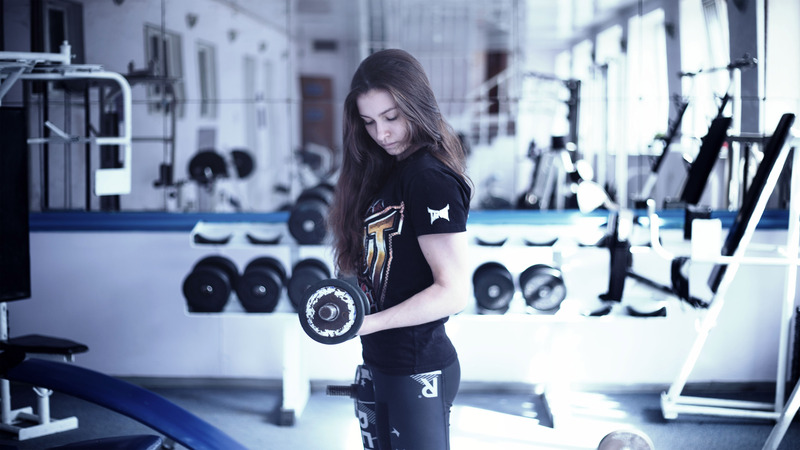 Many people who strive for getting fit ask why is the gym so popular among fitness enthusiasts? After all, in addition to the gym, there are many other types of fitness. They also may compete for first place in popularity among all the people. There are certain features in fitness classes at the gym that make it so popular. These features are so compelling that makes the gym top the list in comparison with other types of physical exercises. Going to the gym is so necessary for any person that it is worth recommending it even to people with some health problems. Saying nothing of the advanced athlete who among others is also engaged in his sport, not related to the gym. The first question people ask coming to the gym is the following. What is so peculiar about the gym that it is considered to be more effective than other fitness trends? Here are the answers. First of all, a gym is a perfect solution absolutely for everyone. No person could not understand the basics of weight training. Every kind of sport has its peculiar elements and complex movements. They require the person to work hard to develop particular skills. While in the gym, people, of course, also need time to acquire new skills, such as how to do this or that exercise. However, as a rule, all movements can be simplified so that even people with any disabilities will be able to workout. Also, gym workouts help people to set the goals for themselves. In other words, if you have an aim, of course, a sensible one, there is 100% that you can achieve it owing to hard workouts. For example, if you want to lose 10 kg, first you have to set a big goal and determine the maximum period for its achievement. Then you should break this goal into smaller ones so that they do not seem so unattainable to you. You will not look at them as at a great chasm between you and minus 10 kg. On the contrary, such small goals will be a commonplace. For example, set feasible microtasks, such as to lose weight in a week by 0.5 kg or reduce calorie intake for the week to 4500 calories. Thus, gym workouts will teach you to do regular measurements and calculations of basic parameters of your body. Workouts at the gym allow you to see the progress you make. After some period of hard workouts, a person can draw parallels between the past and the present. Also, it is possible to trace the correlation between how much time and effort the person has invested and the received result. As based on the data, one can create a plan for further actions and self-improvement. It goes without saying that your gym workouts will be individual. In other words, complying with the basic rules, you can create a unique training method for yourself. Of course, your characteristics will be the key to creating the most suitable program (weight, age, lifestyle, possible diseases, workday, sports, etc.). Some exercises can be so unique that will allow you to work immediately towards several goals at the same time. All the more, there are so many training methods that you can almost infinitely change individual programs and continuously achieve the desired results. If your technique during the gym workouts if right, then you will reach your goals with minimal trauma. Frankly speaking, if you do all the exercises strictly according to the rules, the risks of getting a trauma equal to zero. Also, you should also carefully monitor your weight load, as it can influence your health and wellbeing. So whenever you feel like going to the gym, make sure your exercises correspond to your physical abilities. Such an approach will help you reach your results in no time. Finally, gym workouts have an extremely beneficial effect on human health and life in general. As a result, you can quickly increase your load step by step. That shows that your body gets used to training stress. All in all, your entire body gets healing and strengthening the effect. Also, gym workouts help people prevent the development of severe diseases related to the cardiovascular system and the musculoskeletal system. They can also accelerate metabolism and strengthen the immune system. In short, gym makes a human health and increases active longevity. Of course, if you live some of the more dynamics lifestyles which include a lot of traveling or frequent moving from one city to other, then you should also be aware of alternative methods to build and maintain health and fitness in that periods. In that context, there are many body weight (and similar) exercises, which can be useful. But one should always have in mind that these exercises are more compliments then substitutes for the gym workout. In that context, there are many body weight (and similar) exercises, which can be useful. But one should always have in mind that these exercises are more a compliment than a substitute for a good gym workout. Ian is an IT student with BA degree, and currently attending the master's program in the University of Zagreb. He is passionate about traveling, physical activities, and social sciences.